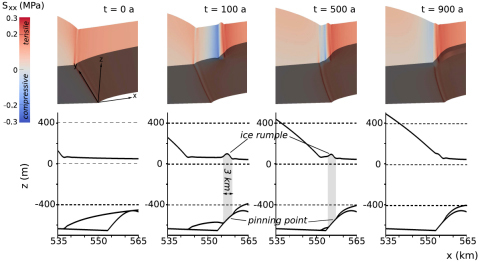 Elmer/Ice is the only three-dimensional full-Stokes code solving properly the dynamic of the grounding line. It will be the only full-Stokes model which will solve all tests of the new MISMIP3d intercomparison exercise. Favier et al. (2012) present a complete description of the model and an application to a pinning point experiment.